Home › Synergy WorldWide Blog › Synergy WorldWide Blog 2019 › Synergy WorldWide Blog -Celebrate Heart Health Month in February! 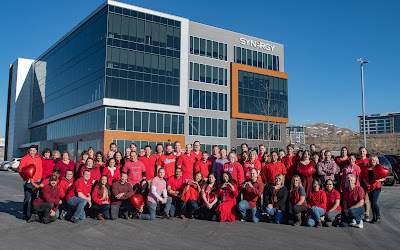 Synergy WorldWide Blog -Celebrate Heart Health Month in February! Cardiovascular disease is the leading cause of death for both men and women in the world. About 17.9 million people die of cardiovascular disease in the world every year–that's 31 percent of all deaths. In the U.S. alone, about 610,000 people die of heart disease. Of these, 525,000 are a first heart attack and 210,000 happen in people who have already had a heart attack. At Synergy, our goal is not only to raise awareness of this disease, but also to celebrate the heart and its amazing role in the body. After all, it is your body's hardest working muscle. Your heart deserves special care and attention, and that is our forte.